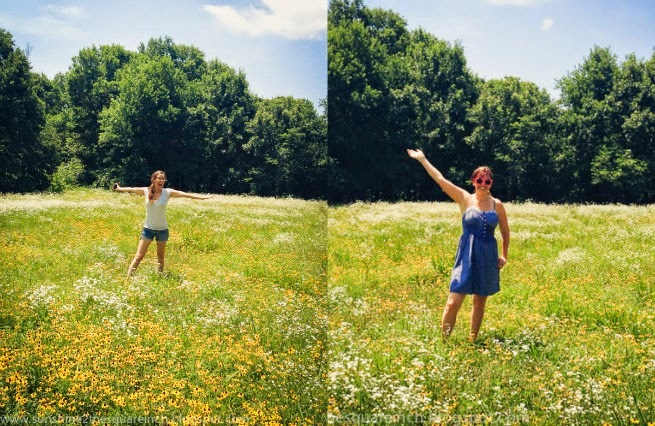 I thought picking berries would just consist of berry picking but there was so much more to this experience. For starters, my friend Sarah went with me and we had the best visit. The farm was 1 1/2 hours away so we had plenty of time to catch up on life. Secondly, the view there was so pretty. We saw goats, green rolling hills, fields with wild flowers and even a stray dog I tried to pick up. 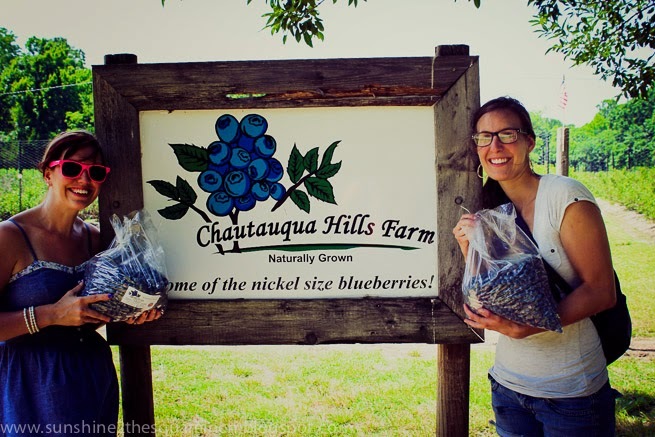 The blueberry farm is called Chautauqua Hills Farm. The owners were on-site working and they were so helpful, kind and informative. 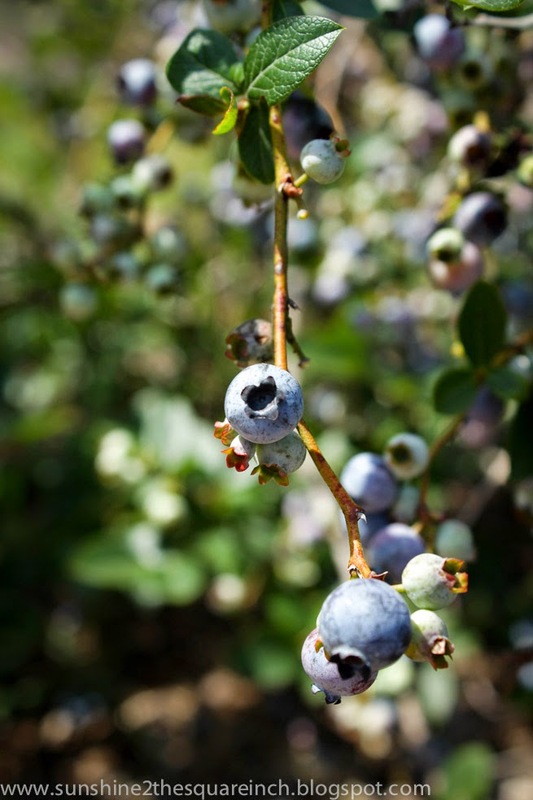 The cost to pick your own blueberries is $28 a gallon which yields approximately 6lb. And of course the berries are DELISH! I highly recommend this farm if you are in Kansas. 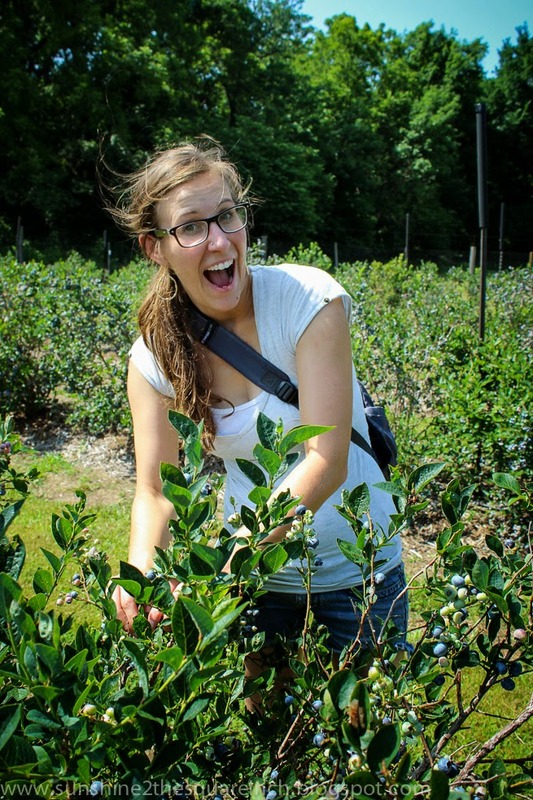 A few minutes into picking I learned that picking blueberries is hot and actually work! I was sweating buckets you guys, but not into my blueberry bucket, because that would just be gross. 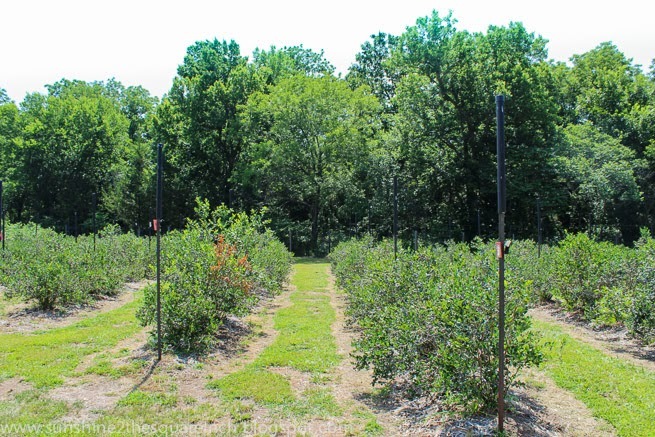 Picking 1 gallon of blueberries made me appreciate the work that farmers do. I also appreciate the workers on farms who pick and do all the manual labor. I normally just run into Walmart and buy blueberries but picking my own made me realize the time consuming work that goes into it. It made me more thankful. Earlier in the week I had read John 15 where God talks about abiding in Jesus, The True Vine, so we can produce fruit. Those blueberries were a reminder of that. 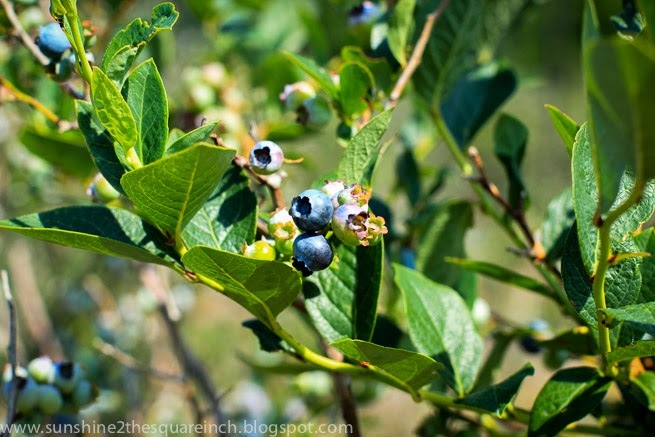 If those branches aren't connected to the main vine there would be no branches, which means no blueberries which means no baking, smoothies or blueberry syrup =). The same is for us. We can't expect to see fruit in our life if we aren't spending time with Jesus. Time in prayer, time reading the Bible and time meditating on the Bible. It was such a simple thing to see but a really good reminder for me. I'm super glad I went and picked berries and if there is a place near you I highly recommend it. 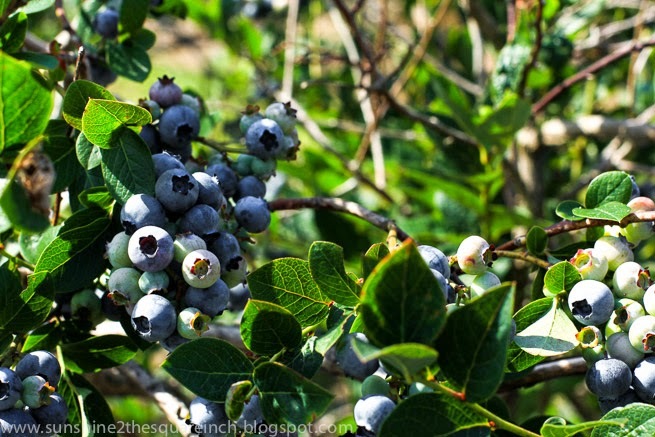 There are a couple weeks left to pick berries in Kansas so if you are from Wichita - GO! I've had a few people ask me what blueberry plants look like and here you go! These plants are packed with berries! Have you gone berry picking? 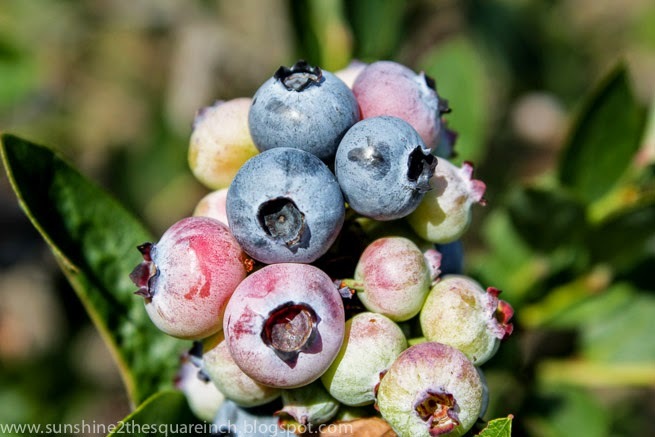 Please, do share your favorite blueberry recipe. I got a bunch I need to eat through. How fun!!!! I have never done this! 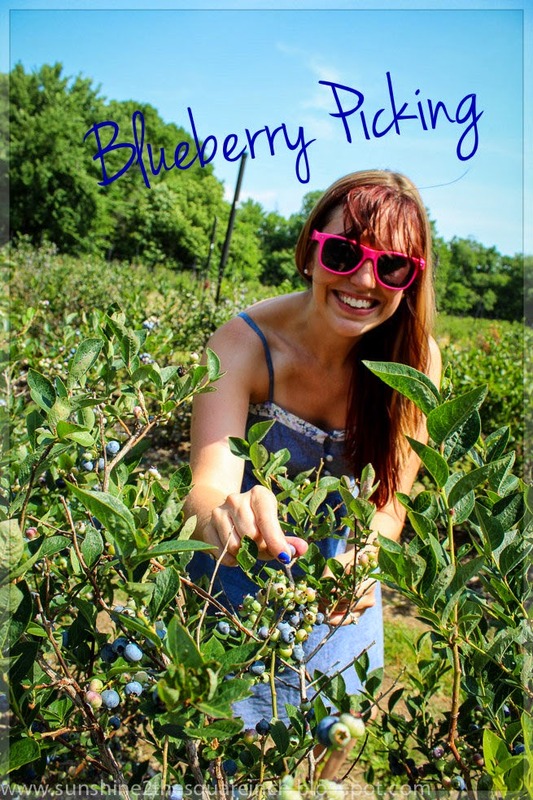 I can't believe I was in Kansas over the 4th and missed out on berry picking! I thought Canada would have a bunch of blueberry picking! I didn't think about the cold aspect though. Thanks for stopping by and I'll be sure to hop on over and visit your blog. That's fun that you have gone picking berries already. Also, FREE BERRIES?! I'd be all over that train. Thanks, Renuka! I hope you get to go sometimes. It's well worth it. 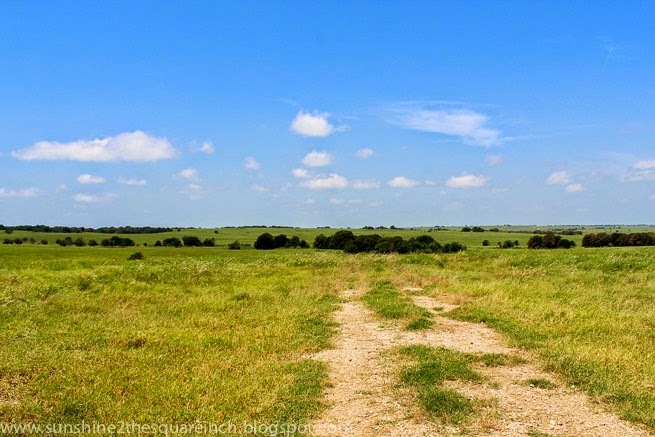 What part of Kansas did you visit? That is a bummer you missed out on it but I bet there are places in Texas that do that. It is the best & thanks for the kind compliment. Those are huge blueberries! Where I live, they grow wild on the side of the county roads so you normally see a few people out picking them in late July. I have not picked any though, because it does look like work! Glad you had fun! "I was sweating buckets you guys, but not into my blueberry bucket, because that would just be gross." bahahaha! :) glad you had a blast! gorgeous pictures! 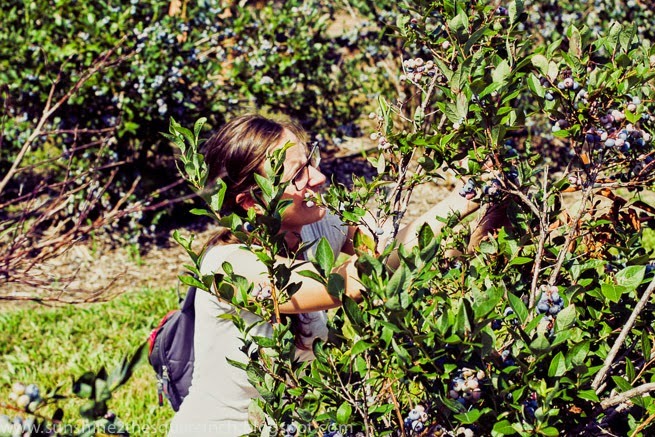 It is a ton of work to pick fruit! I have never picked blueberris, I have picked strawberries and raspberries though! Raspberries are the worst I think....I totally get why they are so expensive in the store! I love that you compared it to our relationship with God. SO true! Blueberry scones!!!! I have an amaznig recipe if you want it! You and your blueberries making my mouth water....again! Looks like a really fun day. LOVE blueberries. I was supposed to go with my Dad and brother once to pick them, but basketball practice came up. We had SO many blueberries after that. I recommend freezing about half for smoothies. Then, you could always defrost them to make blueberry crumble or something like that. So much fun! They do have big blueberries. Their slogan is "home of the nickel sized blueberries" =). That is so fun that you have berries that grow wild. Free berries is worth the work! I hope you get to pick some. I'm so glad someone else thought that was funny. I was entertained by it. Mmmm! Strawberries & raspberries - I bet that was fun too. 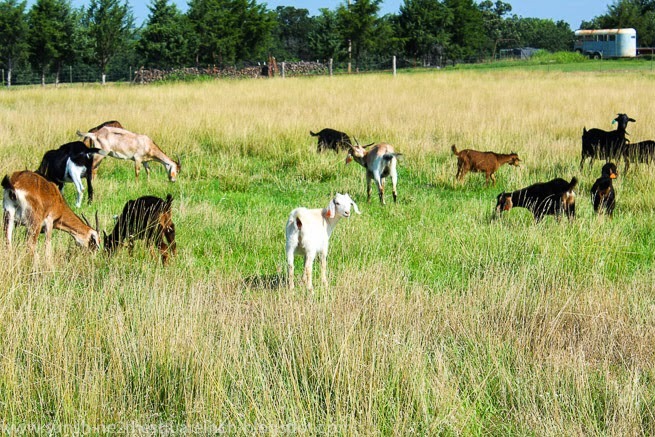 Is there a farm near you where you go? Whole Foods! You gotta go cuz I know they have good blueberries and fruit =). It was a fun day and I'm so glad I went. Thanks for that recommendation! I did freeze a bunch of them. A crumble sounds super good and I had a friend send me a good recipe for one so I'm hoping to try it out. What a fun day! I've been strawberry picking, but never blueberries. These are some adorable pictures of you! WOW those are huge bags of blueberries! That sounds like a perfect summer activity. Developing a new appreciation for the foods we can so easily pick up from a grocery store shelf makes what we eat feel that much more precious. Just like you, I hadn't realized how much work goes into picking that little pint or quart of berries (let alone a galloon! hoo-ey.) but it makes sense why they tend to be more expensive. 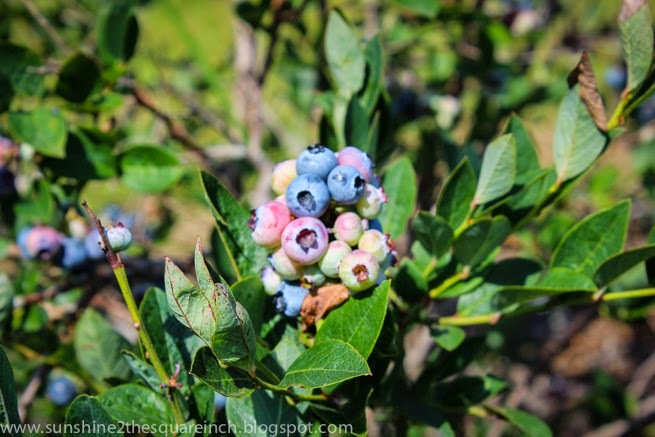 I had never seen a blueberry bush either & had no idea what they looked like. I made blueberry muffins this past weekend. I have a blueberry orange muffin recipe. It's really simple and really good. I have a Betty Crocker cookbook so I'll see if that recipe you mentioned is in there. Do you freeze the muffins? If so, is there a proper way to do that? Strawberry picking is so much fun!!! I got to do that in Korea. Thanks for the sweet compliment. Thanks! I have been enjoying baking and adding them to everything! It's pretty fun. I know! It was a HUGE bag and I was a little overwhelmed by how many there were. I ended up using a bunch of them last week and froze the rest. I agree that I'll be more happy to pay the price for hand picked fruit now. I always wondered why raspberries were so expensive but those fruits are so delicate so now I understand why picking them and getting them into a store costs more. I let them cool COMPLETELY. Then I place them neatly in a gallon ziplock freezer bag and pop them in the freezer. I have a friend who just tosses them in the freezer bag all "willy nilly" and she gets WAY more in each bag. I am a pefectionist afraid of smashing things, but it's up to you! When I'm ready to serve them, I put them on a pizza pan in a 350 oven just until they are warm. You can crank the heat up if you want, but it really doesn't take but 5 or 10min. That is so helpful! I know I'll be like you and place them neatly. I'm OCD like that. Thanks a bunch for the info!